Following the success of special edition models with Chevrolet, GM expanded the treatment to their other brands,including GMC. This is the new 2019 GMC Yukon Graphite, and what it is, is a factory-tuned SUV equipped with the goodies you would normally pay an aftermarket specialist to put on your car. So what GMC is doing here is eliminate the middle man. 2019 GMC Yukon Graphite Performance Edition comes out of the factory rocking 22-inch bright machined wheels with Carbon Flash Metallic pockets, black assist steps with gloss black accents, premium black chrome grille mesh insert and fog lamp surrounds, body-color grille surround, black roof rails, gloss black beltline moldings and additional black trim. Short of putting spinners under the car, they couldn’t have done more to pimp this beyotch out! GMC Yukon Graphite is also a well-equipped and luxurious SUV. It comes as standard with a 420 horsepower and 460 lb-ft of torque 6.2 liter V8 which is rarity these days, and boasts high-tech stuff such as 10-speed auto ‘box, Magnetic Ride Control, Multi-color Head-up Display, Bose Active Noise Cancellation, and two 8-inch screens, one a reconfigurable Driver Information Center and the other Touchscreen Navigation with GMC Infotainment System. 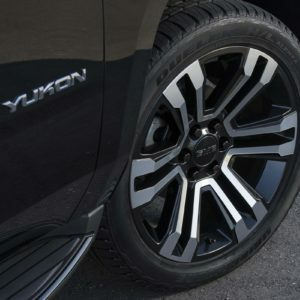 You can have the Graphite edition with Yukon or Yukon XL in both 2WD and 4WD configuration, and you can choose between Onyx Black, White Frost Tricoat and Dark Sky Metallic for the exterior color. 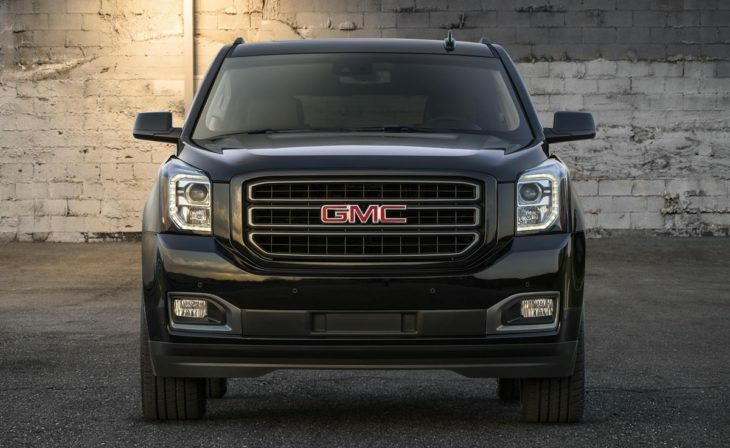 The post Official: 2019 GMC Yukon Graphite Performance Edition appeared first on Motorward.